Turn-Ons - Guys that kinda look like animals from the woods. Vices - I'm kind of a glutton, all around. Dream Date - Just went on one last night, with my boyfriend. Make Out Song - "Since I've Been Loving You" by Led Zeppland. Ice Cream - Probably, mint chip. The NewNowNext Awards are turning 5 this year, and this morning Adam Lambert announced on VH1′s Big Morning Buzz Live that he’ll be one of the performers on the show. Oh that’s right! I’m pretty sure Glambert is the traditional gift for a 5 year anniversary. In this clip, Adam talks about the proliferation of music competition shows on TV today, and how the television industry is different from the music industry. 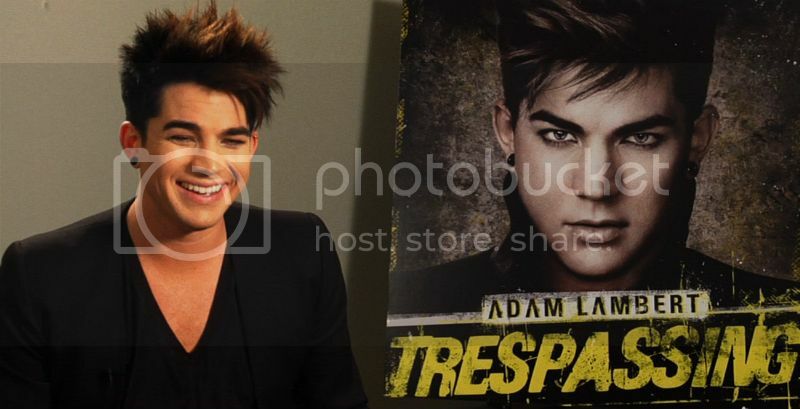 Adam wrote Trespassing after having his heart “trampled on” and features a wide range of songs from emotional to funky, dance jams. Below, he talks about some of the songs on the album as well as his upcoming collaboration with Sam Sparro. With Tresspasing, Adam also wanted to speak directly to the gay community, and many of the songs deal explicitly with the issues that gay men and women face. Personally, since Whitney Houston's death, most of my conversations with friends have consisted of just naming a Whitney Houston song, then playing that song while doing the exhale-wince-head-shake that universally signifies being gutted. My own personal attempts to isolate a single "favorite" Whitney Houston song have proved Sisyphean -- as soon as I've declared "I Have Nothing" to be my favorite Whitney song, I remember how much I love "All At Once," which parlays itself into a nostalgic fondness for "So Emotional." But yesterday, when I asked a visiting Adam Lambert what his favorite Whitney Houston song is, he achieved what I've been unable to do: succinctly narrow his favorites down to one Whitney Houston song -- "Run To You." "One of my favorite Whitney Houston songs of all time is 'Run To You,'" Adam Lambert said, picking out the relative B-side to Whitney's 1992 "The Bodyguard" soundtrack smash, "I Will Always Love You." "You could name any of her songs and her voice is nuts all over those songs." That voice. My point exactly. 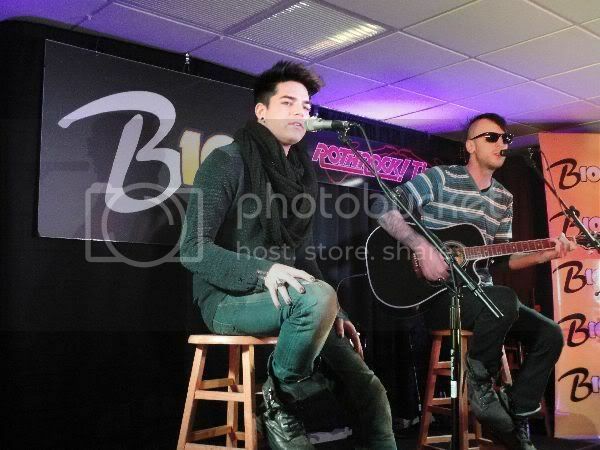 Adam Lambert performs, "Better Than I Know Myself"
at B104 in Allentown, PA.
Adam Lambert performs, "What Do You Want From Me"
Glambert, aka @adamlambert, stopped by the MC studios this week. Things got a little rowdy when Adam Lambert stopped by SWRV’s studios this week. You didn’t think that Adam would leave us without a brooding pic, now did you? — with Adam Lambert at Music Choice 34th Street Manhattan. Ahhh! Attack of the giant marker! 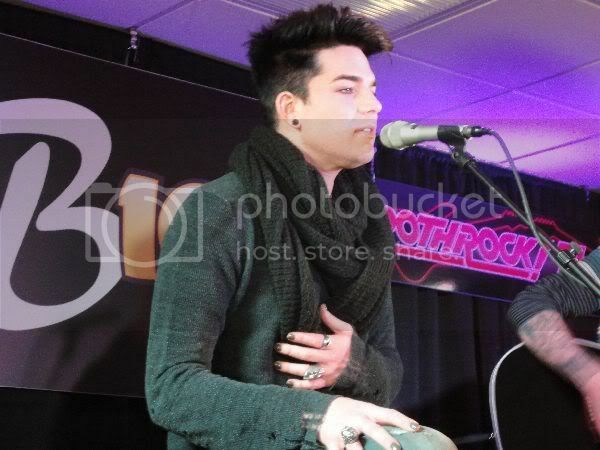 — with Adam Lambert at Music Choice 34th Street Manhattan. With Adam Lambert at Music Choice 34th Street Manhattan. Adam Lambert the rebel. — with Adam Lambert at Music Choice 34th Street Manhattan. single at the Q102/Mix 106.1 radio station in Philadelphia. 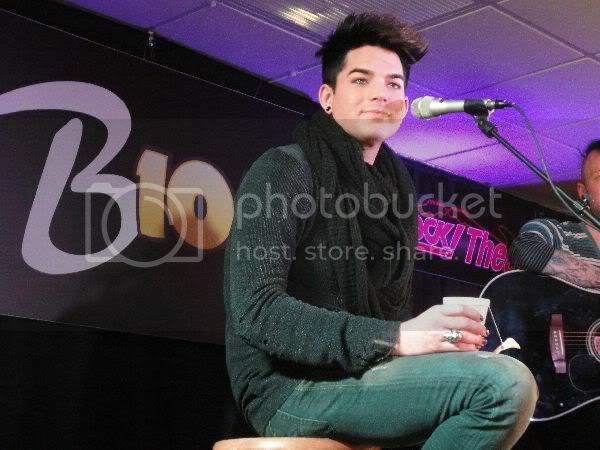 Pics from Adam Lambert's visit to Q102 Philly. 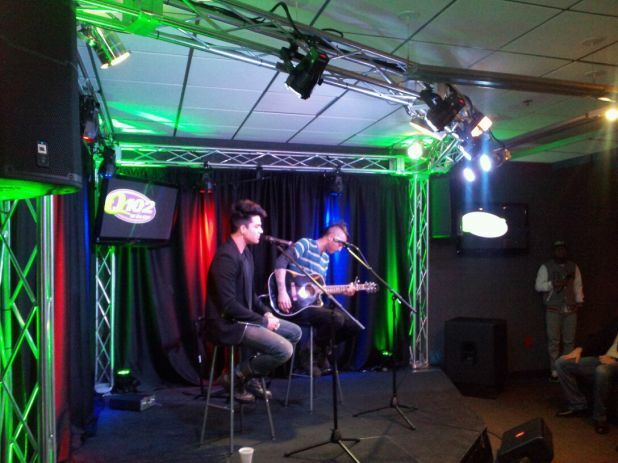 Adam Lambert LIVE in Studio!